Somehow, Republican Senator Shelley Moore Capito of West Virginia is incredibly surprised that there aren’t more Republican women in Congress. Truly one of life’s great mysteries. Capito was a guest on Politico’s “Women Rule podcast, which is touted as “real talk with women bosses.” Capito, as I understand it, is the woman boss of working with the Republican Party to help decimate the rights of women, people of color, and poor people. 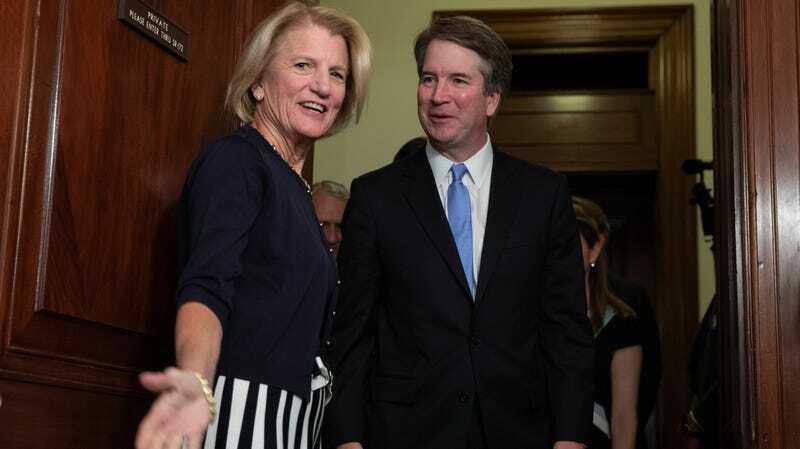 The episode touched on topics like bipartisanship, the fall of the Democratic Party in West Virginia, Capito’s support of needle exchange programs, and balancing family life with politics. This is something that stumps me. I don’t understand. We have a lot of Republican women that have local offices, they’re commissioners, they’re active in their states... We’re falling way short. Outshining is an understatement: of the 102 women elected to Congress in the 2018 midterms, only 13 of them were Republican. “Working on it” probably doesn’t mean completely changing tactics and ideology, though she should consider it! Earlier this year, the Pew Research Center found that the gender gap in party affiliation is growing: 56 percent of women identify as or lean Democrat while only 37 percent identify or lean Republican. Pew also found that millennials overall are more likely to identify as or lean Democratic than previous generations—60 percent to be specific. And the numbers are more brutal for Republicans when gender is brought into the mix: 70 percent of Millennial women “affiliate with the Democratic Party or lean Democratic,” Pew found. Four years ago, 56 percent of millennial women did.